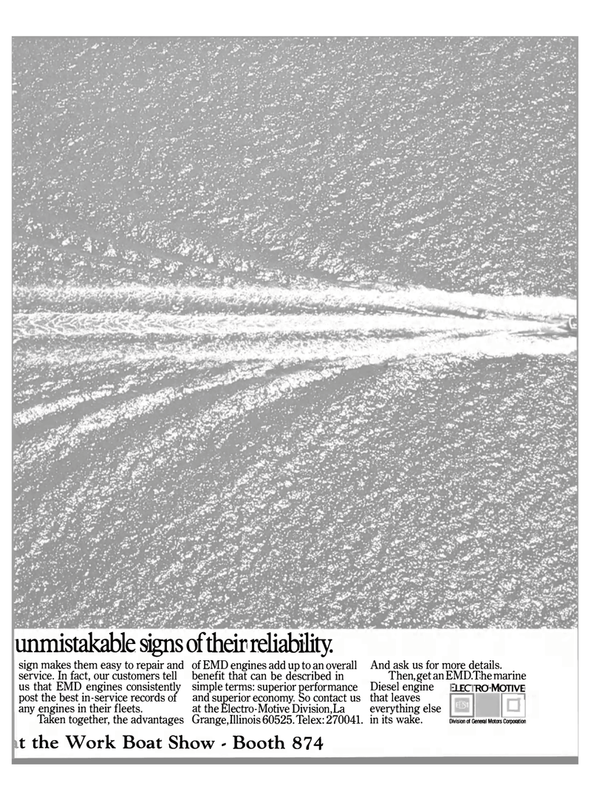 unmistakable signs of their reliability. sign makes them easy to repair and service. In fact, our customers tell us that EMD engines consistently post the best in-service records of any engines in their fleets. Grange,Illinois 60525. Telex: 270041. in its wake. And ask us for more details.